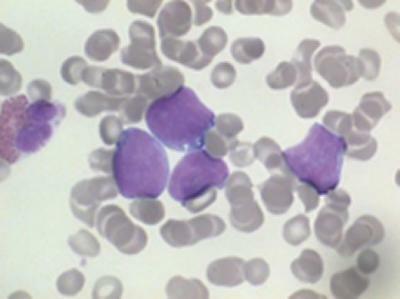 A breakthrough in understanding of a rare form of blood cancer could lead to significant improvements in treatment for patients. Scientists from the University of Southampton announced their findings at a prestigious scientific conference in San Fransisco on Sunday 7 December. The team used various sophisticated ‘gene sequencing’ techniques to screen DNA from 175 patients with splenic marginal zone lymphoma (SMZL), a cancer of the immune system. They identified key genetic errors that can influence the speed at which the cancer develops in different patients. SMZL generally develops slowly. After diagnosis patients are monitored and only start treatment when the disease reaches a stage when it is needed. It is a rare cancer, accounting for only 3% of all cases of lymphoma, and there has been little research into the disease until now. Professor Jonathan Strefford presented his team’s findings at the American Society of Hematology’s Annual Meeting. The research was funded by the blood cancer charity Leukaemia & Lymphoma Research. The scientists identified, for the first time, how individual gene faults connected to SMZL can influence a patient’s prognosis. Errors in the TP53 gene in cancer cells were shown to be ‘drivers’ of the cancer, potentially acting as a warning for doctors of shorter survival times. The presence of faults in the KLF2 and NOTCH2 genes indicated that patients generally required intensive treatment for their disease more quickly.